Enjoy panoramic southern views from the kitchen, great room, master, salt-water pool & spa. The large patio is perfect for grilling dinner, enjoying a libation, or simply relaxing with a good book. 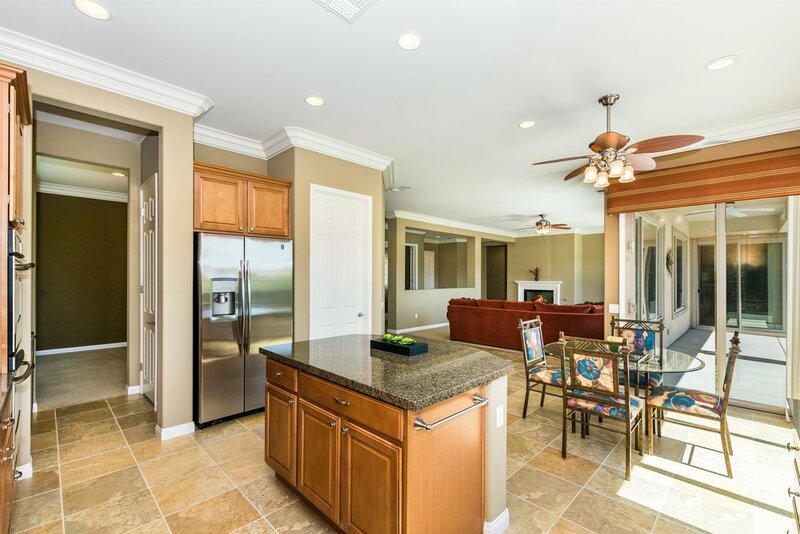 Bright, open floor plan that you, your friends & family are sure to appreciate. The chef's kitchen with island, granite, stainless appliances, upgraded glass front cabinets, butler's pantry & wine fridge opens up to the living room with a cozy fireplace. Whether home office or library, you'll enjoy the large den for your private retreat. 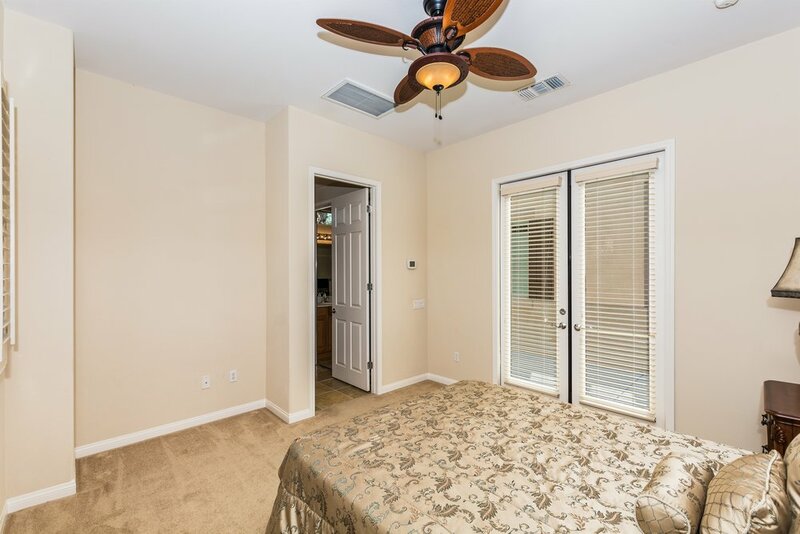 The handsome master suite has a double vanity, soaking tub & shower plus huge walk-in closet. The guest bedrooms are located on other side of home for privacy. 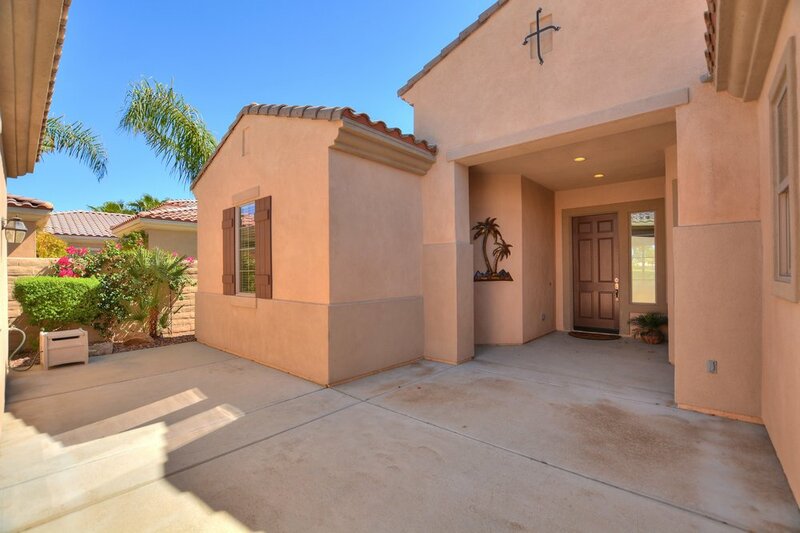 A detached casita has a private entrance and opens to the private, gated, courtyard. Low HOA's include everything but golf which is pay as you play. 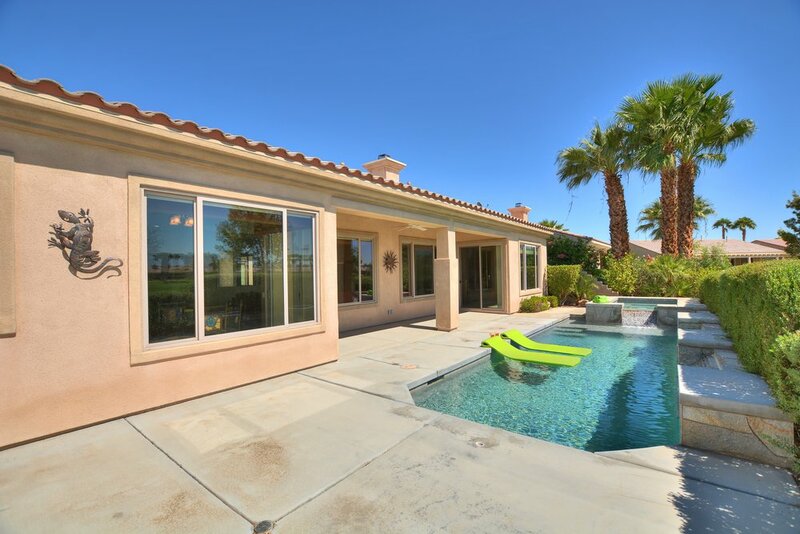 Sun City Shadow Hills in Indio is an active adult community (55 or better for at least one resident) that offers owners numerous amenities and activities. At the heart of Sun City Shadow Hills you’ll find two 18-hole championship golf courses and two clubhouses. Because the golf courses are open to the public, owners simply pay when they choose to play, and can receive large discounts with the available Players Card exclusively for Sun City Shadow Hills residents. Here you’ll enjoy two clubhouses that are the central hubs for all community activity. Both clubhouses feature state-of-the-art fitness centers which include the latest in high-end cardiovascular and weight training equipment, an aerobics and dance studio, indoor walking track and indoor lap pool. There are also hobby and craft studios, a grand ballroom, billiards hall, computer lab and library. Other outdoor activities at Sun City Shadow Hills include tennis, pickle ball, bocce ball, and a dog park. Miles of walking and biking trails wind throughout the neighborhood parks and open spaces. An outdoor amphitheater provides the perfect venue for concerts, and neighborhood festivals and gatherings. Why not contact Sheri Dettman & Associates today to view this Sun City Shadow Hills home, or any Palm Springs area property!